Two-year-old Safia Emoi is weak, thin and listless. She has just arrived at the Heillu Health centre with her mother Amima Mohammed, who set off early to make the 4km trek to the clinic in the outskirts of the upper Eastern Province town of Moyale. 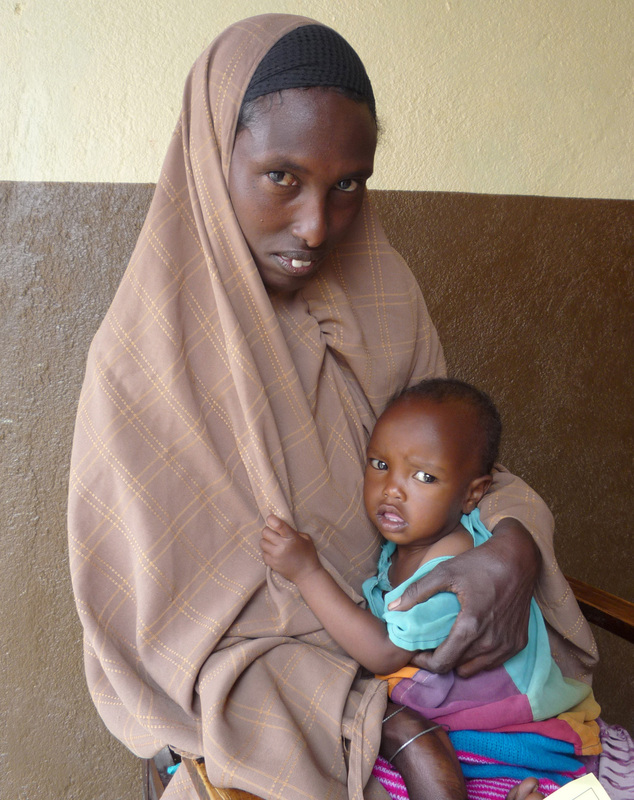 Safia is enrolled in a programme for severely malnourished children. In a study of almost 2,000 children in 15 sites in Isiolo District conducted by the ALRMP in October, between 30 and 46 percent of children were found to be at risk of malnutrition. The nutrition status of children is worse in areas with high livestock deaths and extreme poverty, a community officer at Isiolo’s ALRMP office, Lordman Lekalkalai, told IRIN, adding that although water stress had gone down with the rains, food insecurity had not eased. According to government figures, rates of stunting among children are much higher in such areas - 42 percent in Eastern Province, compared with 29 percent in Nairobi. Lekalkalai suggested that interventions such as the provision of Unimix, a fortified maize meal, to children under five and livestock off-take programmes should be extended in the short term. Paul Kimeu, Isiolo District Drought Management Officer, noted that the pastoralist lifestyle and a lack of dietary diversity predisposed residents to under-nutrition. “Supplementary feeding even where available is also inadequate to meet the number of those in need,” he added. 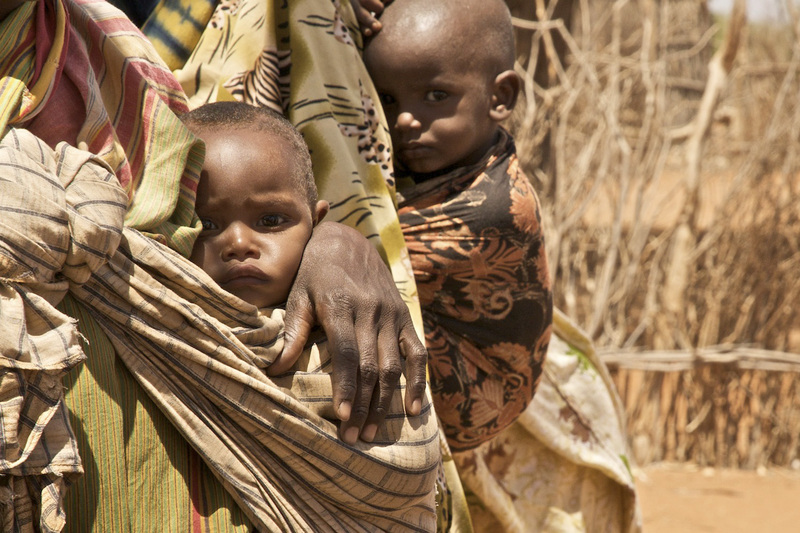 In May 2008, Marsabit recorded a global acute malnutrition (GAM) rate of 16 percent; the World Health Organization’s emergency threshold is 15 percent. In Marsabit’s Korr Division, for instance, there is one health facility with about three nurses serving a population of 8,000. “While generally high ‘risk of malnutrition’ rates are attributed mainly to a lack of food as a result of low purchasing capacities and low milk supply at the household level, diseases such as cholera and malaria, and poor hygiene and childcare practices have also accentuated the higher than normal rates of child malnutrition, ” said FEWS Net. Children who are sick are not able to feed well, while poor childcare practices such as diluting breastmilk with water, and other unhygienic practices expose children to diseases such as diarrhoea and worm infestation for instance, preventing proper nutrient absorption and retention. Through a European Commission Humanitarian Aid contribution, the UN World Food Programme (WFP) will provide special supplementary rations to 450,000 children under the age of five, as well as to pregnant and nursing mothers, in the northern districts of Mandera, Marsabit, Samburu, Turkana and Wajir. "Children under five are always hit hardest by a crisis and suffer the most," said Burkard Oberle, WFP Country Director. "Given the high levels of malnutrition in these five districts, this additional support will effectively help curb malnutrition levels." Certaines des formes de malnutrition les plus répandues peuvent être combattues par l’apport de micronutriments et l’enrichissement d’aliments grâce à des techniques innovantes et rentables, associés à un travail de proximité, d’après des experts.